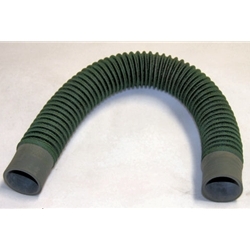 Cooper Hoses - cloth covered smooth inner bore steel wire reinforced breathing hoses. 13" long 1.5" Inner Diameter hoses. Manufacturer marks them as "Not for underwater use"